Media businesses must stop making sweeping generalisations about "millennials", and prioritise social engagement over the use of technology, according to panel of industry leaders. 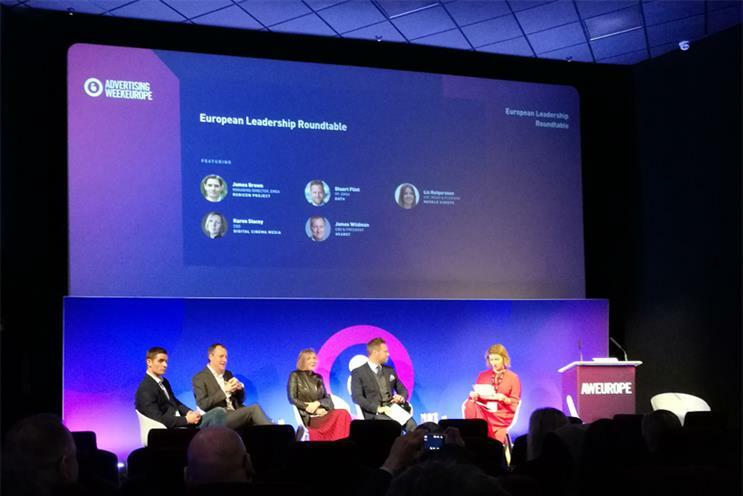 Speaking at the "European Leadership Roundtable" at Advertising Week Europe this morning, Karen Stacey, chief executive of DCM, argued that the very term "millennial" prevented leaders from understanding young people entering their businesses. Stacey disputed the "snowflake" stereotype of people aged between 18 and 34, and said such labels can become self-fulfilling if not challenged at an early stage. "I hate labels, because I think it makes young people end up becoming those labels. They are just young people; the motivations about good leadership is still the same. It feels like we're making an excuse, because we can't understand it, rather than leading people in the right way," Stacey said. While Stuart Flint, vice president EMEA at Oath, said many young people do conform to the stereotype of suffering from "low motivation and low self-esteem", and requiring "instant gratification", he said their demanding nature can help organisations to become better at a "more iterative" development and growth. Hearst chief executive James Wildman – whose company this week moved to its new headquarters on Leicester Square – observed that seismic changes to technology and a "precarious" employment situation had created a "nervousness" among young people that impacted their attitudes. Flint added that it was crucial for teams to moderate the use of technology to improve employee interaction and enhance organisational culture: "In meetings, no one talks to each other. So I insist on no phones, no laptops, so people aren’t sitting there looking at emails." Stacey concurred: "The hard thing about everything being done through tech, I learned from other people and the conversations around me. I don't know how we make sure that happens if everyone is emailing and sitting with headphones in. That is one of my worries." She also questioned the value of "agile" working and hot-desking, which is increasingly popular with larger businesses in the industry. "I think we are creatures of habit, we like to go to a place and know where we're going to be sitting. I do challenge we think it makes us more creative - it's for cost-cutting, that's why companies doing it," she said.